Healthcare is a complex and rapidly changing environment and the Melbourne Medical School is poised, with a new Head of School Professor John Prins, to adapt to these real-world challenges. Armed with a vision to deliver on the education needs of students and provide the best support to hospitals and research institutes, Professor Prins is drawing on his vast experience, across multiple sectors, to shape this new framework. Professor Prins is an active clinician-scientist and was formally trained as an endocrinologist and completed a laboratory-based PhD, in adipose tissue biology, at the University of Queensland. He has spent his career balancing both clinical and research commitments and in the last 10 years obtained extensive corporate experience including leading the Mater Group (Health, Education, Research and Foundation) and as an appointed board member on Metro South Health in Queensland. Professor Prins has developed an innovative strategy for the Melbourne Medical School to provide the best clinical, research and teaching capabilities for students and staff, and to support the School’s affiliated Hospitals and Institutes. “We can work with research institutes to deliver clinical support and with hospitals we can provide research and teaching expertise to ensure translation of medical advances into clinical practice as soon as possible,” said Professor Prins. This paradigm shift for the School will be accompanied by a curriculum redesign of the medical program and new opportunities to support and develop translational roles. “The art of medicine is just as important as knowledge and expertise and our role, at the School, is to provide and support graduates on their chosen career path to meet the challenge of delivering patient care,” said Professor Prins. 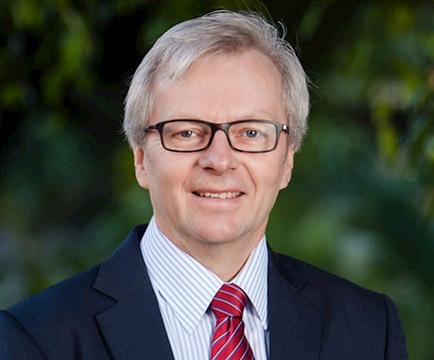 James Stewart Chair of Medicine is a prestigious named chair (established in 1955), based in the Melbourne Medical School’s Department of Medicine and Radiology at the Royal Melbourne Hospital. The position also encompasses the role of Director of Research for the Hospital and makes innovative and distinctive contributions to leadership in education, research and clinical medicine. Head of Department of Clinical Pathology and Chair of Cancer Pathology will lead a newly formed clinical Department located at The University of Melbourne’s Parkville campus in the premier facilities of the Victorian Comprehensive Cancer Centre (VCCC). This position also presents opportunities to undertake clinical care delivery as a pathologist at the Royal Melbourne Hospital and the Peter MacCallum Cancer Centre. Stevenson Chair of Paediatrics, the principal chair of paediatrics at The University of Melbourne, was established in 1960 through the benevolence of the late Dame Hilda Stevenson. The Stevenson Chair of Paediatrics is a pivotal leadership position based at the world class Melbourne Children’s campus which co-locates the Royal Children’s Hospital, the Melbourne Medical School Department of Paediatrics and the Murdoch Children’s Research Institute. APEX Australia Foundation Chair of Developmental Medicine is another prestigious chair position available at the Melbourne Children’s campus focussing on research, training, implementation and evaluation of early interventions in children and adolescents with developmental disorders. Head of Department and Cato Chair of Psychiatry is a highly regarded academic leadership position in the discipline of psychiatry at Melbourne Medical School’s, Department of Psychiatry. The role will also promote clinical excellence in North Western Mental Health (as part of Melbourne Health) with opportunities for involvement in a range of academic leadership capacities. “The extent of the expansion which the Melbourne Medical School is currently undertaking has been made possible, in no small part, through the generosity of our benefactors and partners. These collaborations unite us in a shared vision for medical advances from technology through to patient care and add a further exciting dimension to what is scientifically and clinically possible in the future,” said Professor Prins.